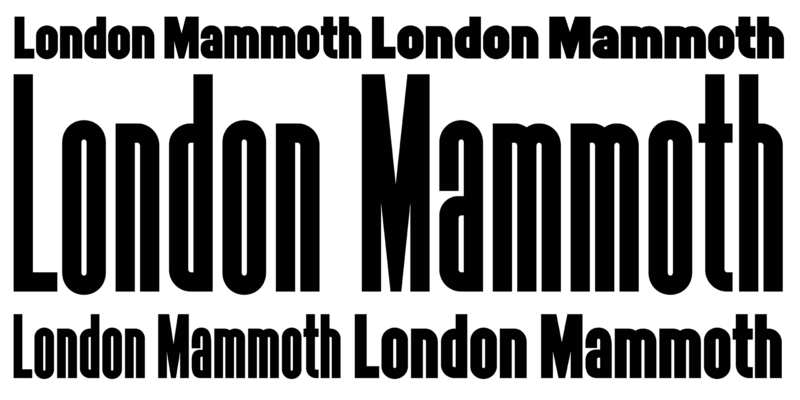 LDN Mammoth is the sister family to our Mammoth Woodblock typeface, retaining the same range of weights and widths but becoming more versatile and text friendly with the addition of a lower case. It is a dynamic suite of typefaces that offers great flexibility for bold display setting and creating impactful headlines. The other principal difference from the Woodblock fonts is the retention of overshoots on rounded characters. The fonts are heavy in weight, and come in 5 widths ranging from No.1 (Compressed) through to a Medium No.5. “These fonts work best when spaced tightly — as we used to say, C.N.T. — Close Not Touching”, says Paul Harpin.